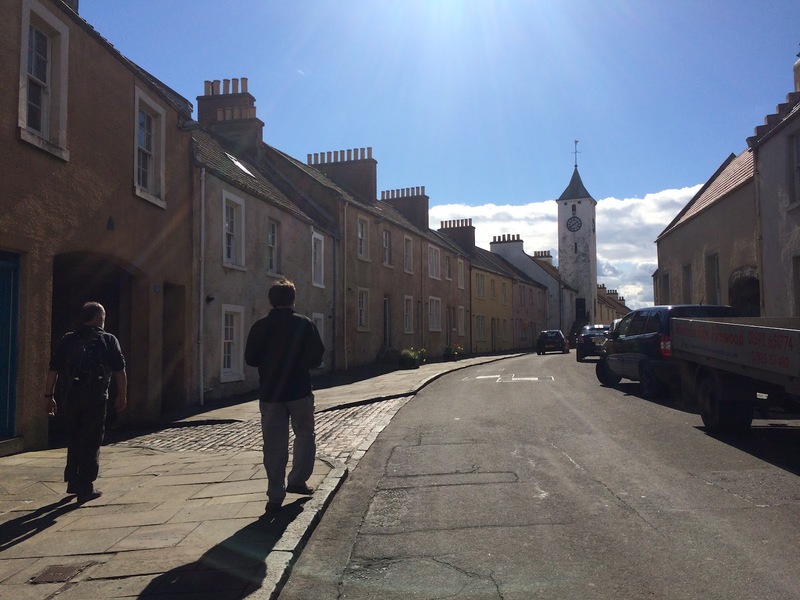 Luckily West Wemyss is very pretty. 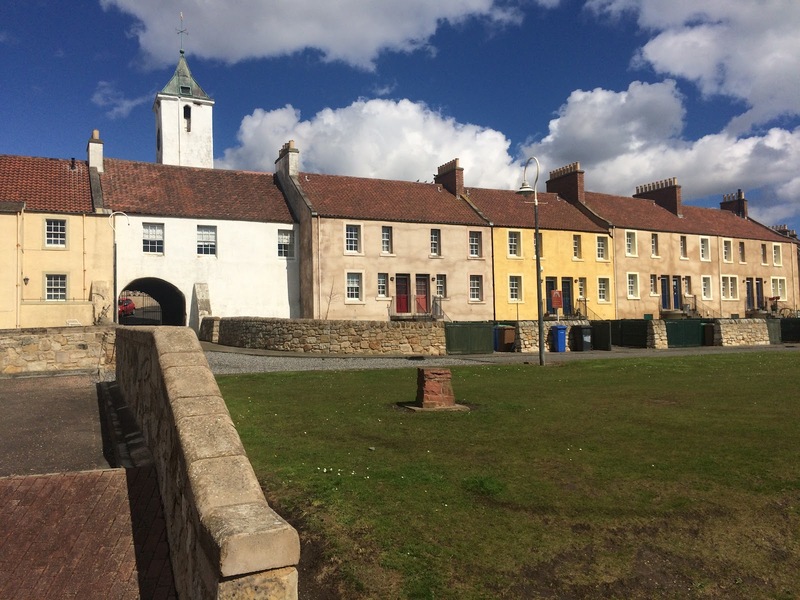 It's one of the cute coastal villages that Fife does so well, and as it's a conservation area it is kept looking very attractive. 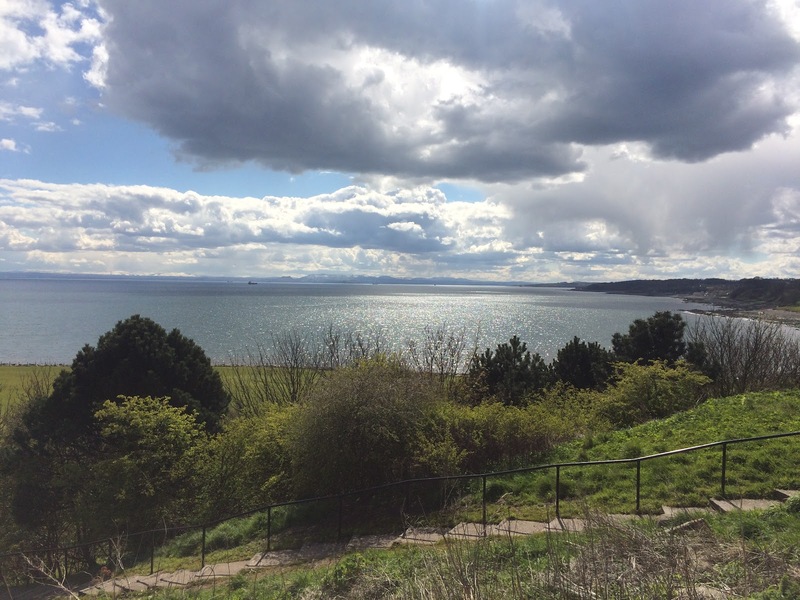 I can imagine that in the dead of winter, when it's blowing a hoolie outside, it's probably not quite as much fun but in the sunshine I could've happily moved into one of the sea-facing houses that very day. 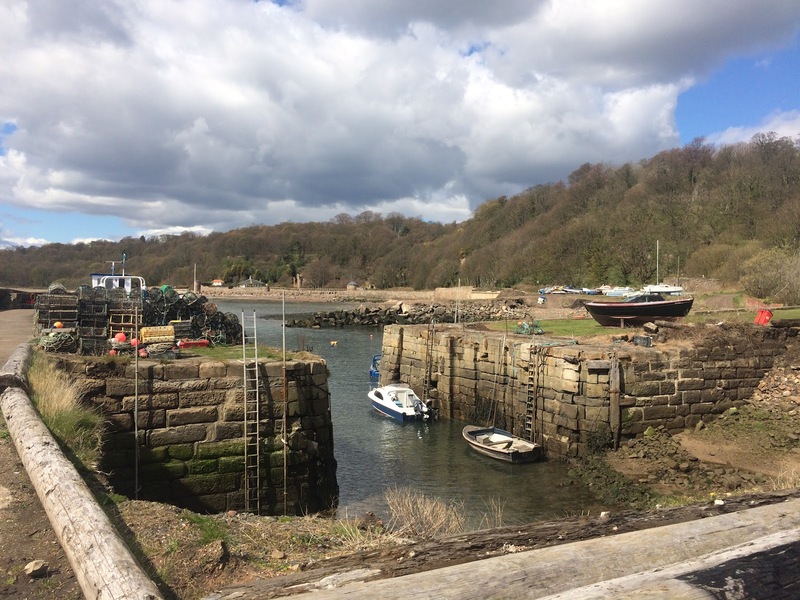 Between West and East Wemyss is Wemyss Castle. 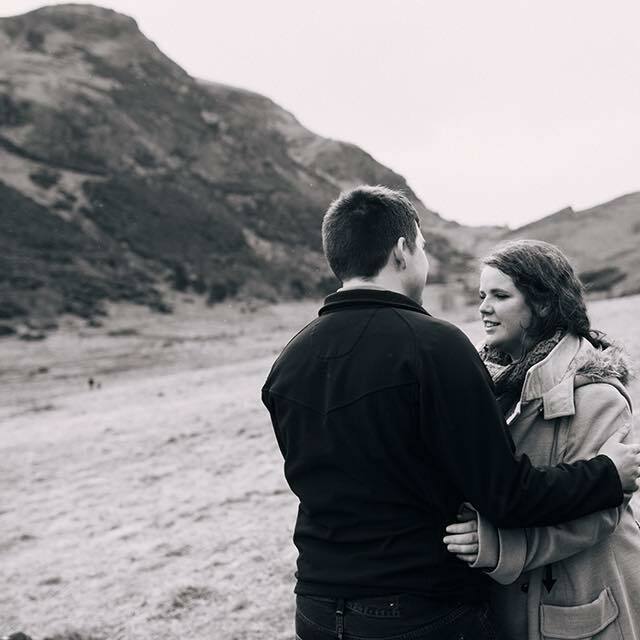 Apart from the fact that it's perilously close to the cliff-edge, this castle is interesting in that Mary, Queen of Scots apparently met her second husband, Lord Darnley here (not that that went very well for either of them really). 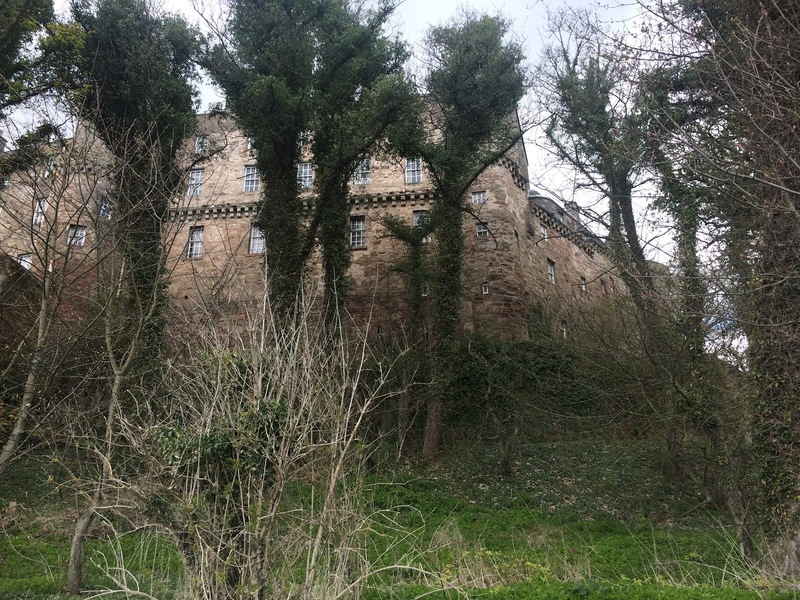 The castle is still inhabited as a private residence, and apparently Queen Liz herself has visited. More to the point it apparently is haunted by a Green Lady (we have a lot of them in Scotland) but that the ghost hasn't been seen for a while. Something about that freaks me out, where has she gone?! Anywho! 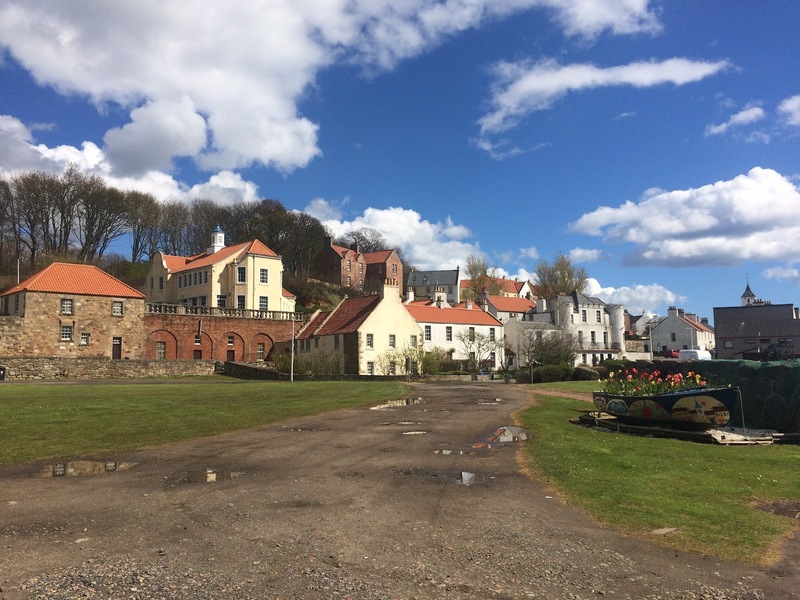 We made it to East Wemyss, which is an ex-mining village. 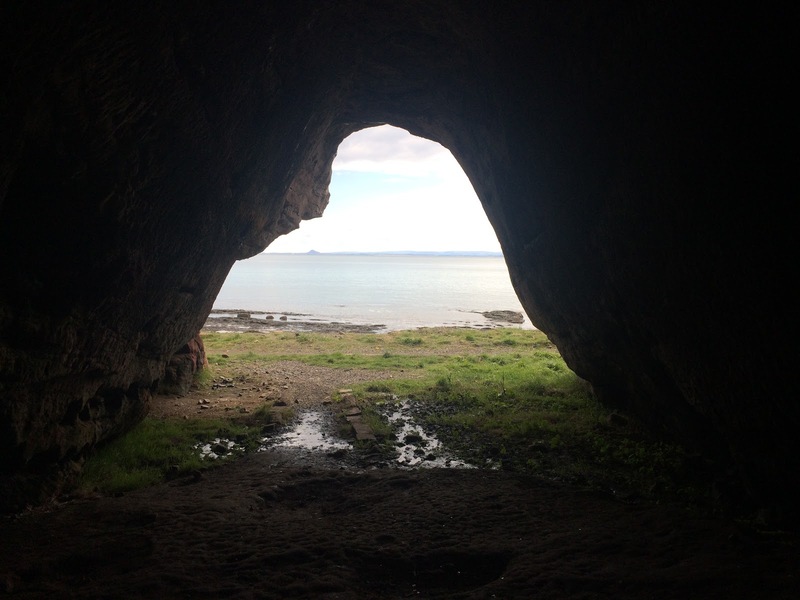 However the area is better known for the series of caves running along the coast to the east of the village. We continued following the coastal path along, and practically before you've even left the village you're faced with the first one. 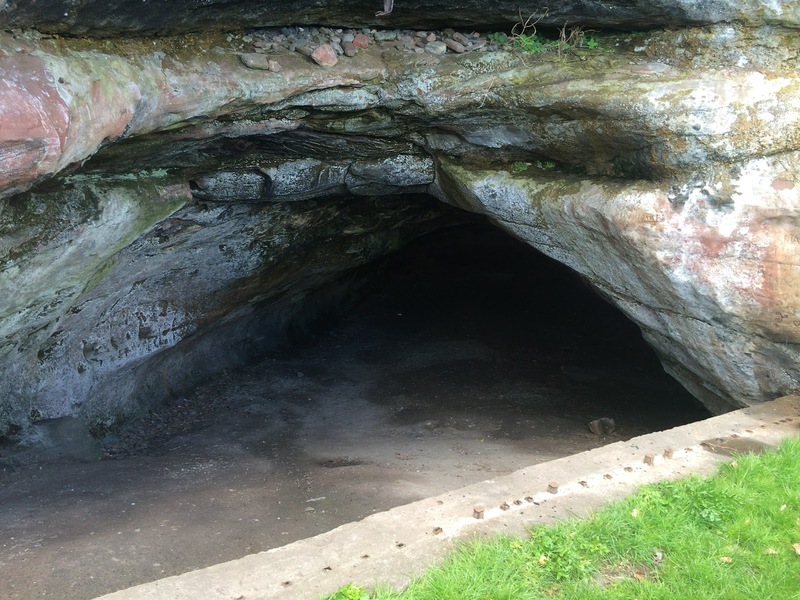 Many of the caves are not accessible due to safety reasons, but of those that are, it's fair to say Jonathan's Cave is the most interesting. The cave was apparently named after a nail-maker who lived in it with his family in the 18th century; some of his nails have been found on the cave floor. The reason this cave is so interesting is because of the drawings on the walls within it. 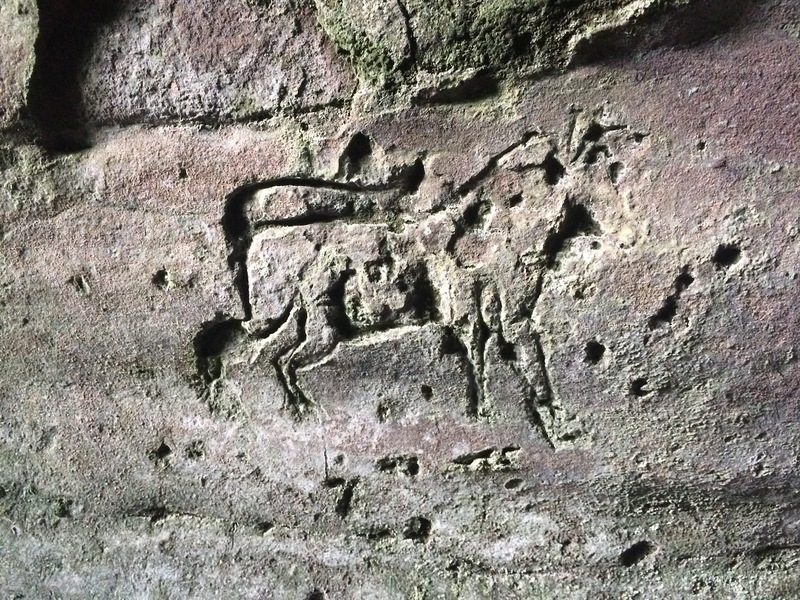 The cave is full of really interesting drawings, including this amazing bull (or horse?) carving, and the trident etching. 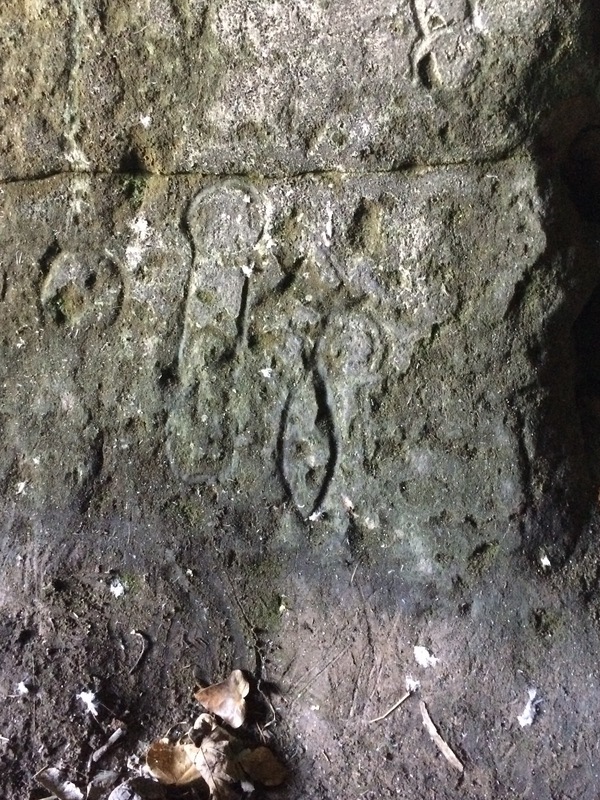 The Wemyss Caves are thought to have the highest concentration of Pictish cave drawings anywhere in the world, and some of the carvings are thought to date back even further. 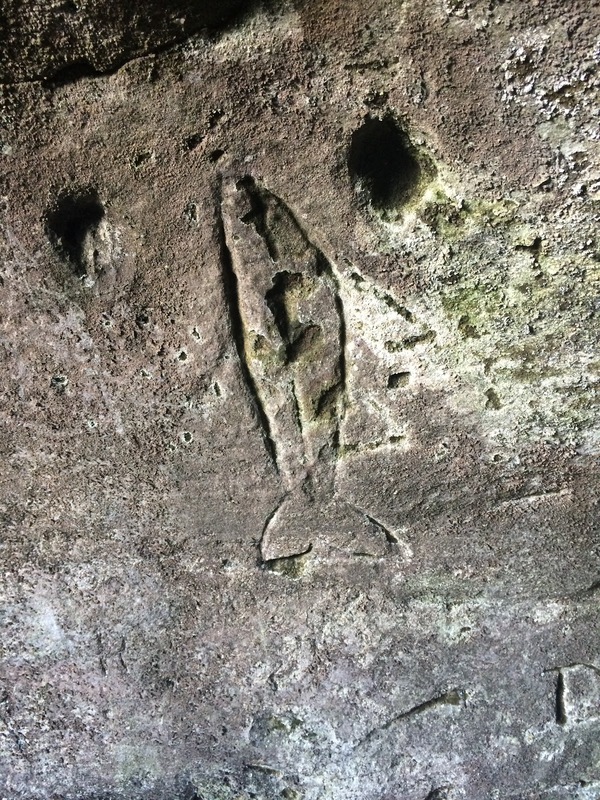 This carving of a fish also has two cup marks if you look closely. 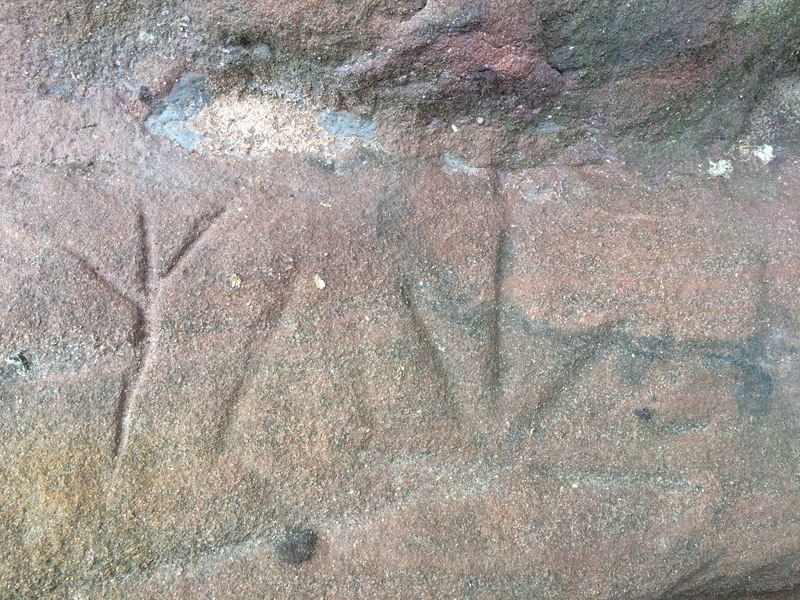 These cup marks are fairly common in Pictish art, and the carving is probably an early Christian drawing. It's hard not to get carried away when you're in Jonathan's Cave. 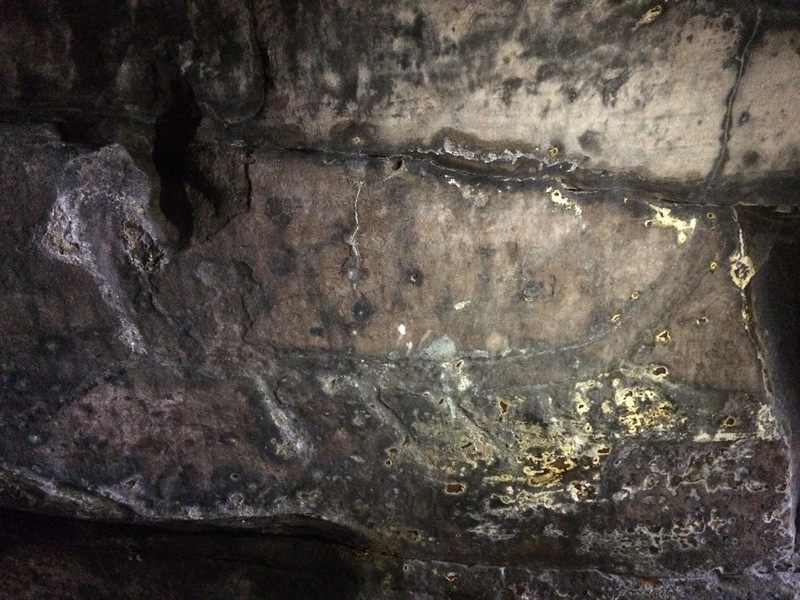 There are so many etchings in the walls of the cave that you can be there for ages, trying to work out which ones are historically significant and which were probably done by some teenagers in the last few decades. One that we knew was of significance was this one above. It is quite hard to see but it is the outline of a boat, with four oars pointing down to the right. 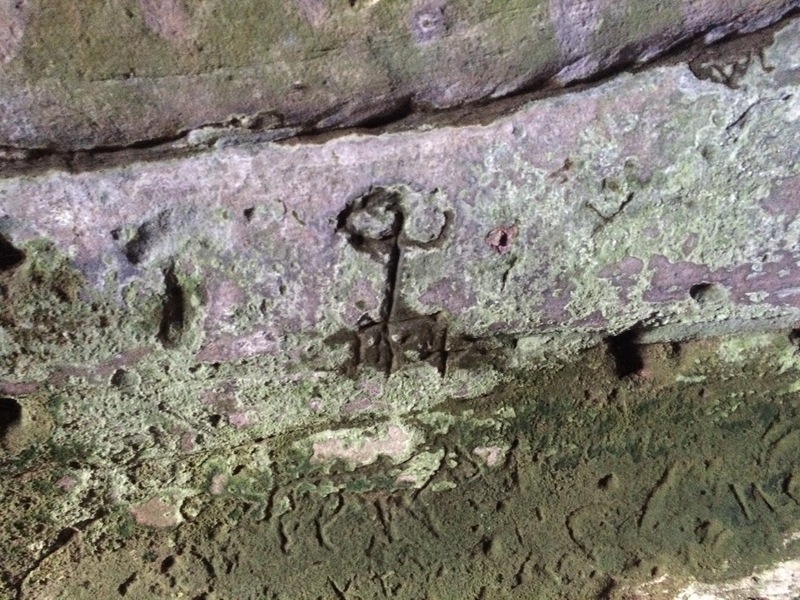 This took us AGES to locate on the east wall, but we really wanted to try and find it as it's thought to be a Pictish or Viking ship, and may be the oldest drawing of a ship in the whole of Europe. We had this idea of it being fairly small like a lot of the other carvings, but it was actually really quite large. We spent so long staring at different marks on the wall going "Is this maybe it?" that when we did finally locate it we felt a bit stupid. Once you see it, you know! 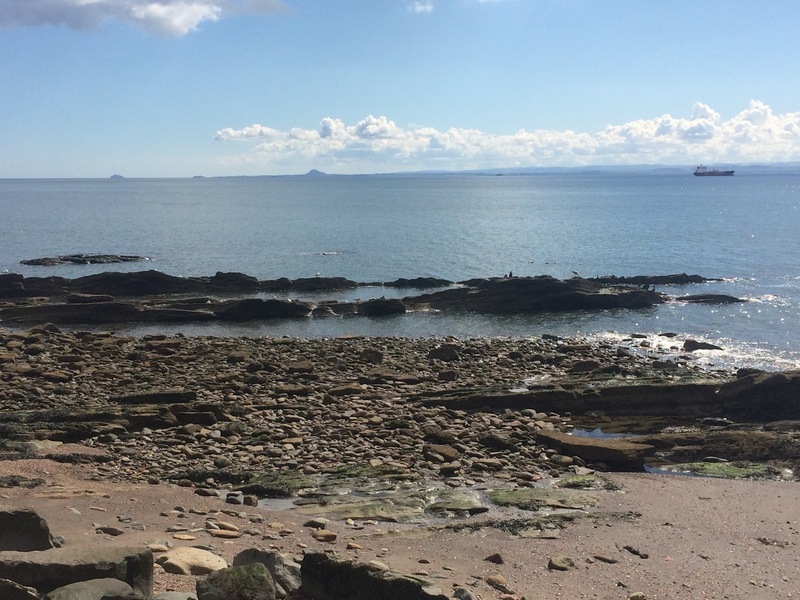 We continued along the coastal path as far as Buckhaven, but after managing to fall down a hill (I did warn you I fall a lot), my husband pinging a thorn into my face and making it bleed, and the fact I was absolutely boiling because I'm pretty much the palest person alive and two minutes of sunshine for me feels quite like how I imagine roast chicken feels, we headed back. All in all though it was a great and unusual way to spend a day. Have you had any unique days out lately? Very interesting and much appreciated. My late husband's ancestors lived there over 2 centuries ago before coming to Australia in the mid 1800s. from Cassandra, NSW, Aust. 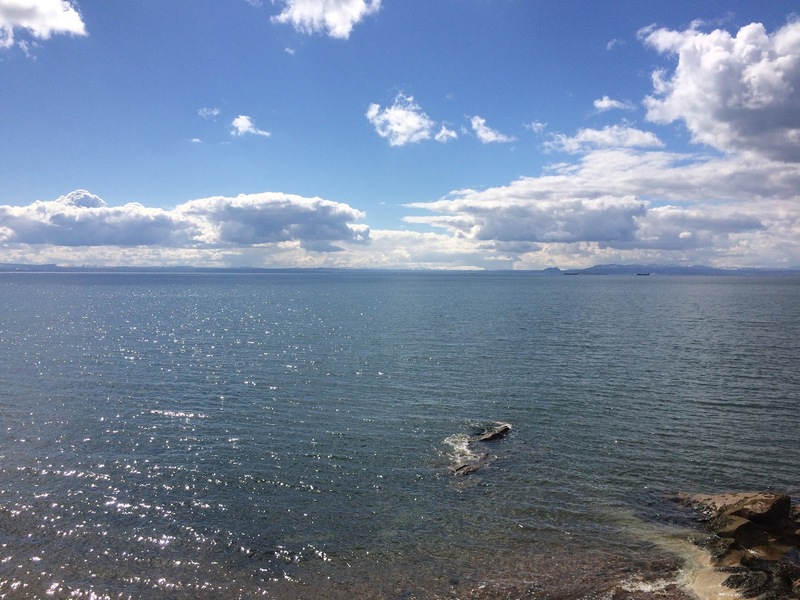 Vogrie Country Park + Tyninghame Beach.